One of the few remaining pleasures of commercial air travel is a cold pint post-security or a Bloody Mary to quell in-flight nerves. But for flight attendants and the airlines they work for, the grand tradition of drinking while traveling causes a host of problems that some are intent on cracking down on. Leading the charge is European low cost carrier Ryanair. After an incident last weekend—when a flight from Dublin to Ibiza had to be diverted to Paris to de-plane three disruptive (and drunk) passengers—the airline announced that it will be lobbying for new restrictions on drinking in airports. 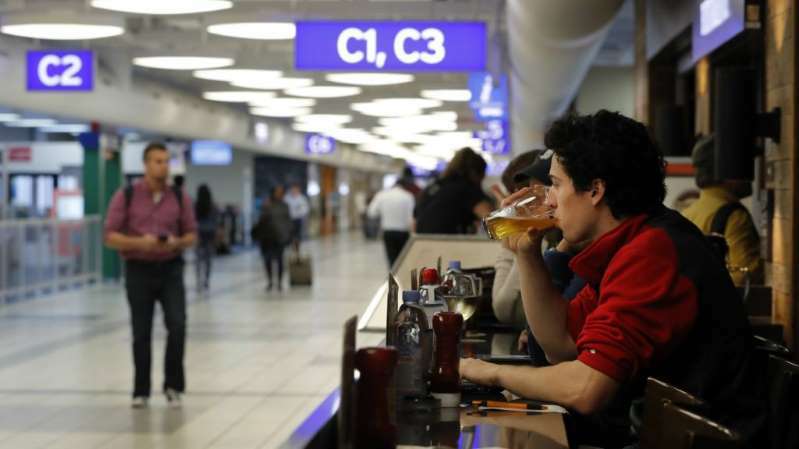 The proposed measures include a ban on serving alcohol before 10am (which is common in European airports) and a two drink maximum in airport bars. Similar measures have been called for by fellow low cost carrier Jet 2, and this week Aer Lingus followed suit saying they would turn away visibly inebriated passengers at the gate. In a statement, Ryanair said that “It’s completely unfair that airports can profit from the unlimited sale of alcohol to passengers and leave the airlines to deal with the safety consequences.” They added that, because their flights are so short, it is rarely the case that passengers become problematically drunk on the plane; rather, intoxication usually begins before boarding. The airline had already previously banned the consumption of duty-free liquor on their flights, a practice which is banned in many countries anyway, including the US. For frequent fliers who enjoy a drink, it may seem inconceivable that the future of flight might run dry. And indeed for airlines and airports—who gain a not-insignificant revenue stream from selling alcoholic beverages—removing the drinks may bear too high a cost. But it’s hard to ignore that the grand tradition of an in-flight tipple comes with a significant amount of baggage.